Why won’t it turn on? 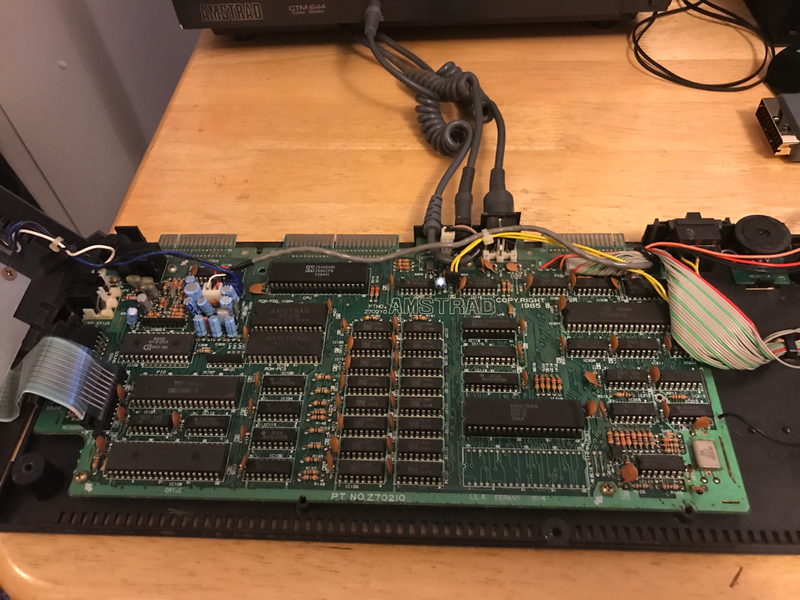 My Amstrad CPC 6128 will not turn on, any ideas? 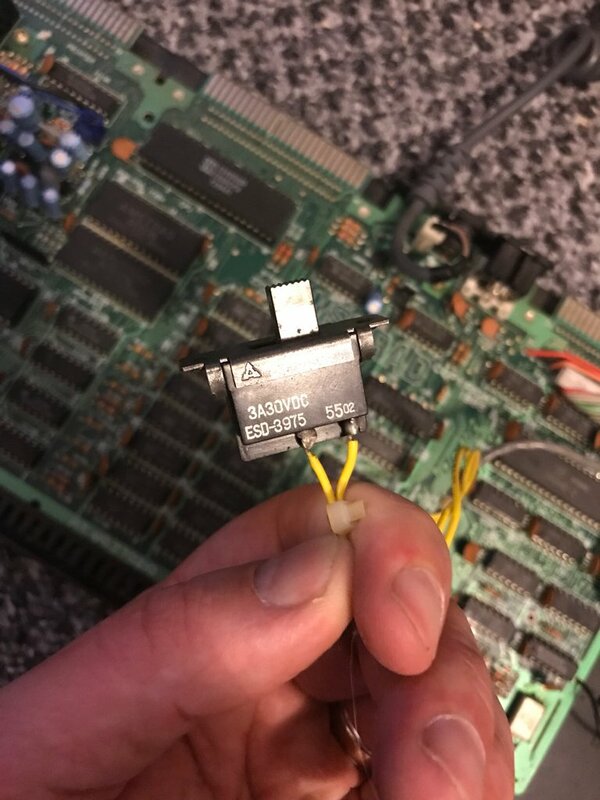 Re: Why won’t it turn on? 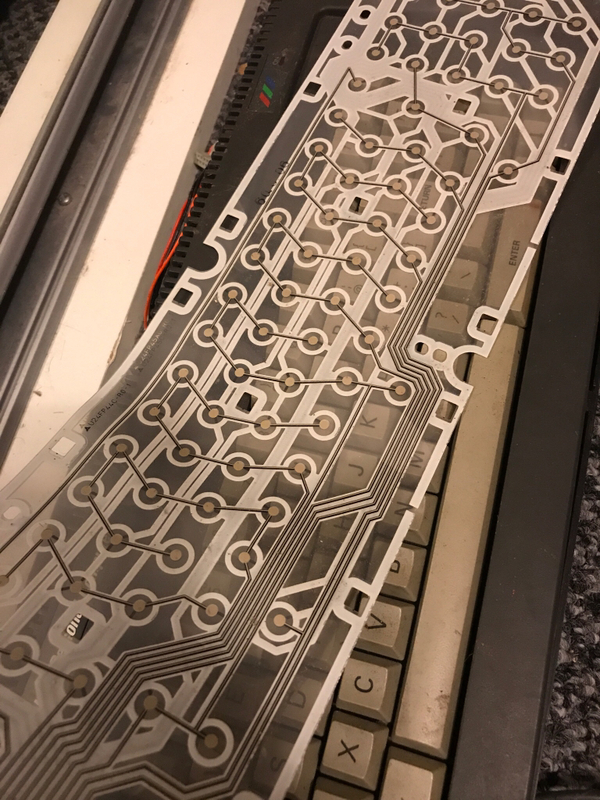 I'd try to clean the power switch with contact cleaner to begin with, and if that doesn't help, check for broken solder points. I just received a "not working" 464 today (cost down, yay). What household stuff can I use to clean it? Use a screwdriver to bend the metal legs slightly going around the plastic then you can get the cap off. You could just try to short the two yellow wires, so you know if it's worth opening it or not. 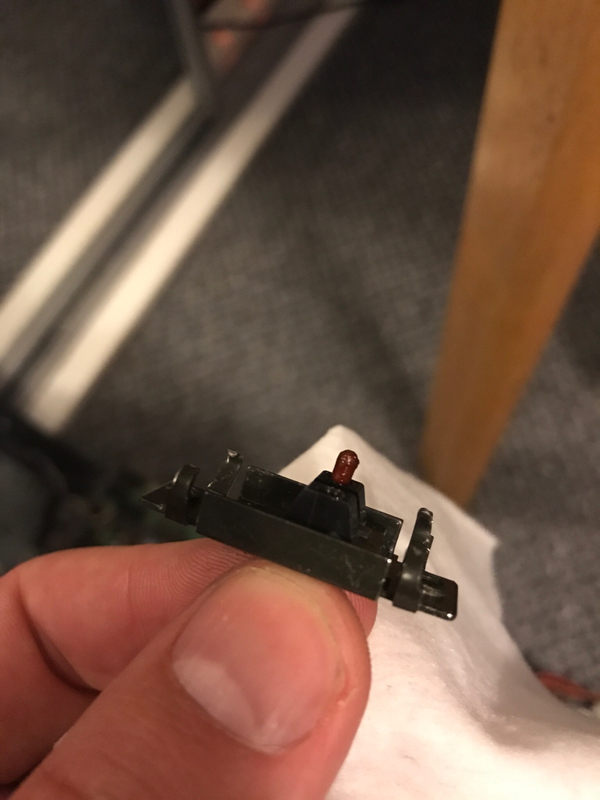 I think that part is supposed to have a bit of grease, what you want to clean is the "platin" knob on the little metal plate and below it in the contact. 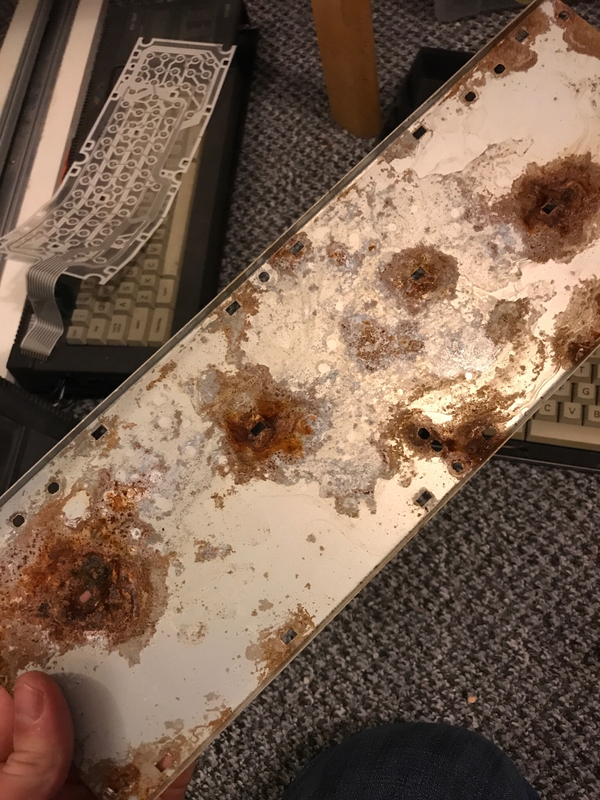 Maybe it's not cleaned good enough and still has too much resistance. Try to short yellow wires again. First, see if it is the switch. Unplug it from the board, then VERY CAREFULLY, bob a flat bladed screwdriver between the 2 newly exposed pins. And I do mean very carefully!!! If it comes on, the switch is dirty/buggered. If not, the issue is elsewhere. Does pressing DEL make a sound? 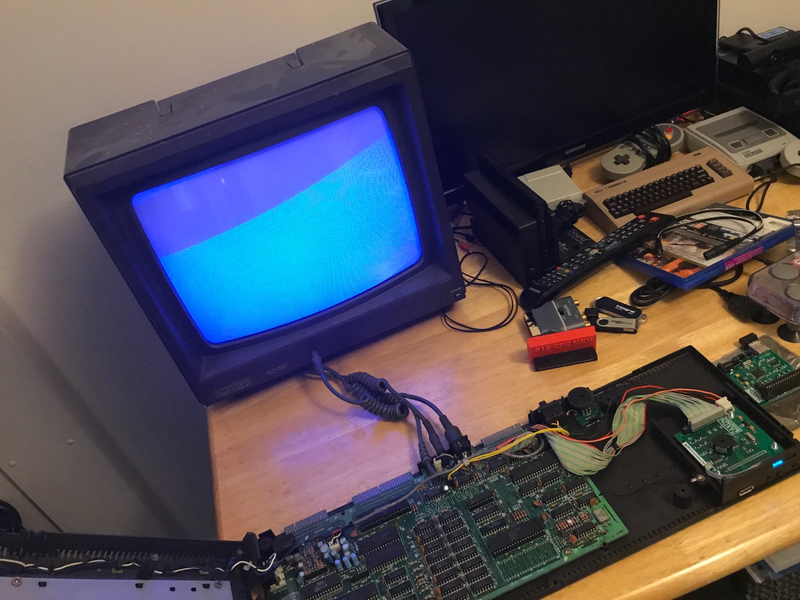 It seems to setup the proper colours with the blue screen (rom chip needs to work for that). Check if any of the RAM chips are hot, would be first thing that comes to mind, but tbh. I am not sure if it would get to setup the blue colours without working RAM, iirc. it will crash somewhere in lowerrom before that and leave you with a grey screen/black border. No 40010 is the gate array. 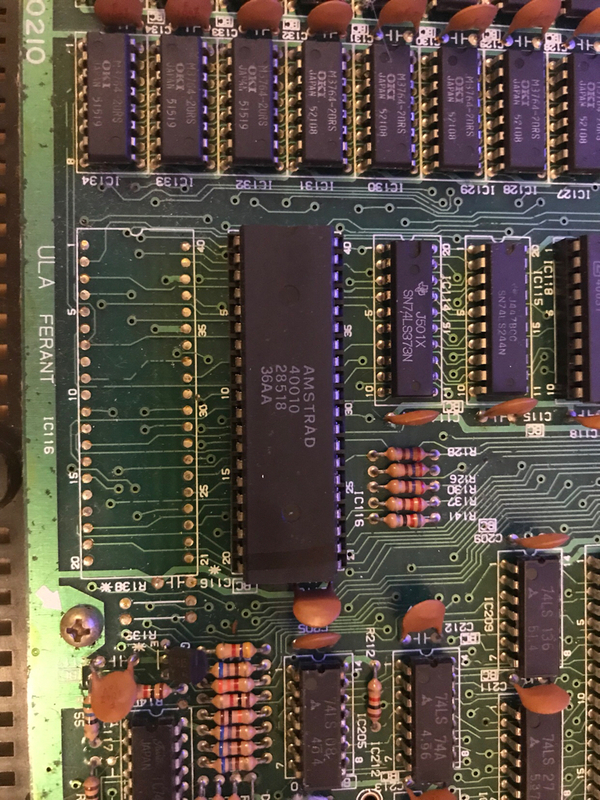 If none of the RAM chips are hot (small OKI chips), try to replace the Z80 first as it's in a socket, and they can have faults these days. 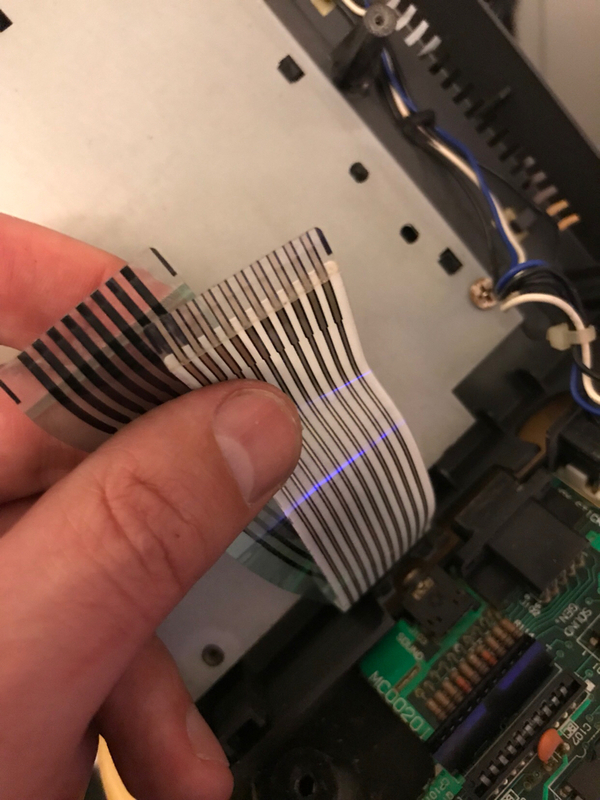 So, after further investigation and sweating buckets, I found out that the ribbon cables from the keyboard are stopping the CPC from starting up!